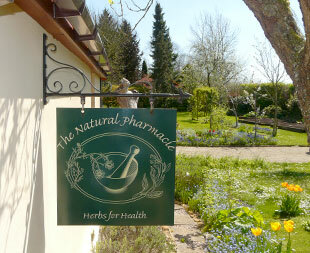 The Natural Pharmacie was founded in 2009 by Iria Kreutz-Schiller CNM MURHP to fit a need she had observed as an Herbal Practitioner for simple, over-the-counter assistance from professionally trained herbalists in a walk-in shop selling carefully selected quality natural products and individually tailored herbal formulae – prepared and dispensed on the premises while you wait. We now operate as a small natural health practice with accessibility extended through improved parking facilities, and web and remote consultation capabilities to support the growing number of local and long-distance referrals. Each of us is unique. We all have different body-types, different resilience, different predispositions and different circumstances. When it comes to healing rather than symptom treatment, one size does not fit all. The Natural Pharmacie therefore complements symptomatic relief with deeper rebalancing of the specific underlying causes of ill-health, tailoring remedies to individual constitutions and needs. We also give advice on nutrition and lifestyle.